Many of us remember that scene in the final moments of the first Star Wars movie, when Luke flies his ship toward the surface of the Death Star in a dizzying and breathtaking swoop. On June 6, NASA did something similar with the Dawn spacecraft orbiting the dwarf planet Ceres—though in less of a cowboy fashion. Dawn spiraled closer to Ceres than ever before in a swinging elliptical path that now carries the spacecraft within 22 miles of Ceres' surface--that's ten times closer than previously, and closer than most spacecraft ever get to a celestial body, short of landing on it. The pictures Dawn will capture promise to reveal new details about how our solar system came into being. Dawn was the first spacecraft capable of orbiting two different objects in the solar system, sort of like a ship at sea visiting more than one island port along its multi-year cruise. The spacecraft launched in 2007 on an expedition to explore the asteroid Vesta and dwarf planet Ceres, the two largest objects in the Main Asteroid Belt. The Main Asteroid Belt is a sort of "time capsule" of material that has remained largely unchanged since the very early times of our solar system. It's made up of millions of chunks of rock and metal—asteroids—that circle the sun between the orbits of Mars and Jupiter. They range in size from small boulders to objects hundreds of miles across. Some thought that this solar-orbiting ring of rubble might have been the aftermath of the breakup of a planet some time in the past. Today we understand the asteroid belt as material left over from the formation of the solar system—ancient material that never coalesced to form a planet. Though all the asteroids of the belt are made of ancient material, smaller asteroids have undergone physical change over the eons: shattering collisions, or disruption by the pull of Jupiter's gravity. Larger asteroids, like the 330-mile Vesta and the 590-mile Ceres, tend to hold up better against the rigors of residence in the asteroid belt, and the record of their origins is more intact. Vesta and Ceres are believed to be examples of "planetesimals," the primordial "building blocks" that coalesced to form the planets. By examining the surface features, internal structures and chemical compositions of objects like Vesta and Ceres, we can reconstruct what conditions prevailed in the early solar system that shaped the formation of the planets. Such evidence is not preserved on planets like Earth, where atmospheric, volcanic and tectonic activity tend to erase primordial chemical and mineral structures. Put another way, if you want to understand how ice crystals develop to form snowflakes, you don't study the water left behind after they have melted. Vesta and Ceres also represent two different results of protoplanetary formation. While Vesta is a dry world that has experienced powerful collisions with other objects, Ceres appears to be a "wet" world, possibly possessing large amounts of water ice in its mantle, and maybe even a subsurface liquid water ocean. 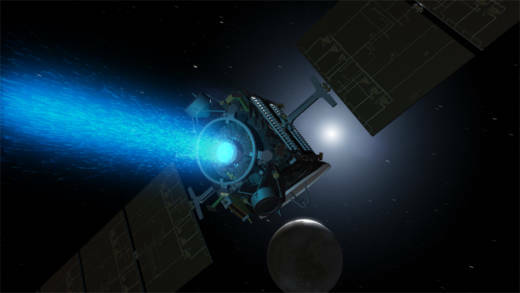 After orbiting Ceres for almost three years, at distances ranging from several hundred to several thousand miles, NASA fired Dawn's high-tech engine to reign in its trajectory. Already, Dawn has captured many new images from its zoomed-in vantage point, revealing details of the dwarf planet not seen before. For example, earlier pictures of an impact crater, named Occator, showed mysterious white spots speckled about the crater's floor. 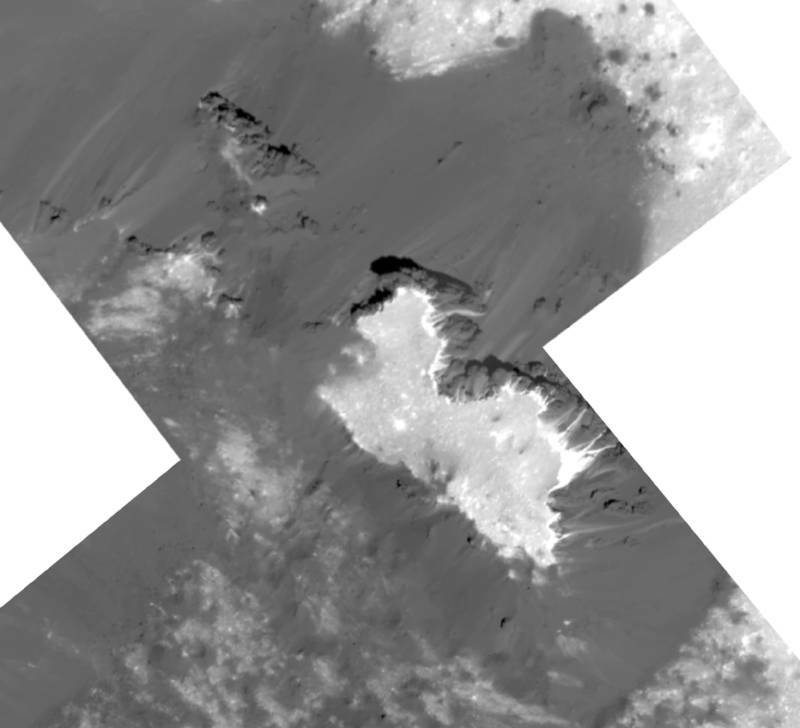 Similar white spots were found at other locations on Ceres. Later measurements identified the white material as sodium carbonate, a discovery that fueled speculation that these might be deposits left behind by eruptions of water that flooded onto the surface, and then boiled away in the near vacuum. 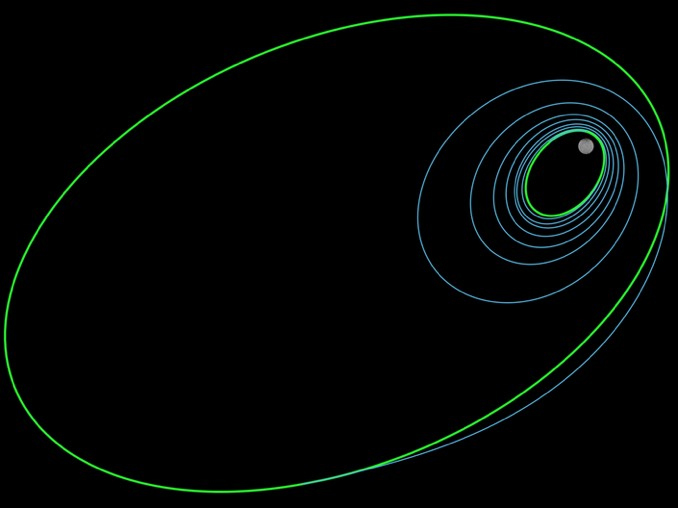 Though Dawn may grab headlines for exploring the two largest objects in the Asteroid Belt, it isn't the only robotic asteroid mission out there. Japan's Hayabusa-2 is currently parked 12 miles from a near-Earth, carbon-rich asteroid named Ryugu. In the coming months it will attempt to make up to three brief touch-downs on the small asteroid's surface to collect samples for return to Earth. NASA's OSIRIS-REx spacecraft will reach the potentially hazardous asteroid Bennu this August, and will ultimately touch down on its surface and collect a sample to bring home. There is a chance that Bennu could impact Earth in the future, so learning about its origin, composition and structure is not only of scientific value, but may provide information we could use to defend ourselves against a possible collision. Also, NASA has approved a mission to send a spacecraft to the Main Belt asteroid Psyche, which scientists believe may be the remnant iron core of an ancient planetesimal whose outer layers were blown away in a cataclysmic event. Dawn Riding Into the Sunset? When Dawn shut down its electric ion propulsion engine after arriving in its Ceres-skimming orbit, it may have been the last time it is ever used. 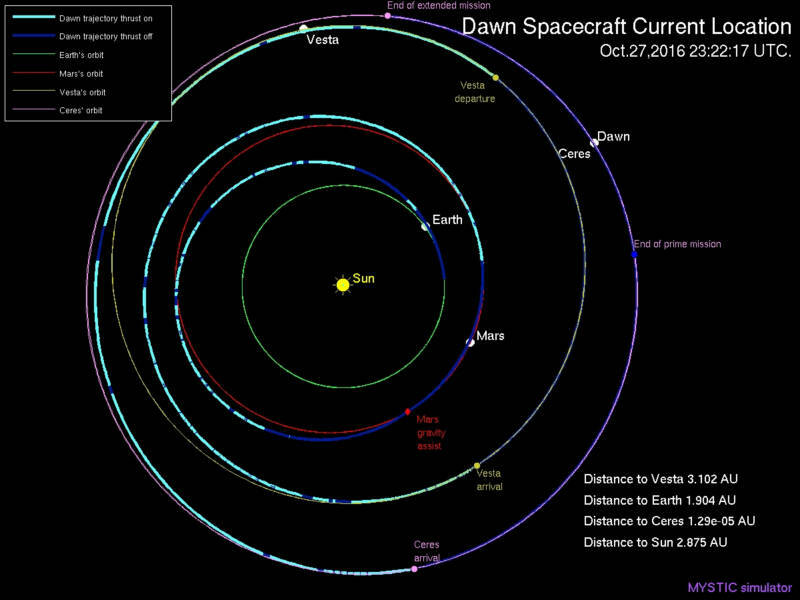 The mission is winding down, and NASA has parked Dawn in a retirement track—a final resting orbit. Dawn will continue to make observations and collect data in the weeks and months to come from its daringly low altitude—and who knows what it might spot in its last days?